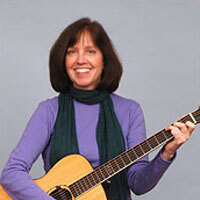 About The Artist: A singer, guitarist, songwriter and music teacher, Liz Buchanan has led popular musical programs for children since 1996. As part of her research for her M.Ed. at Lesley University, she found new ways to utilize music and creative arts across the curriculum.